Tieton Saturdays are best spent exploring! We recommend starting at BOXX Gallery, open every Saturday, 11am - 4pm. The gallery is just a couple short blocks from El Nido Cabins and shows rotate monthly. 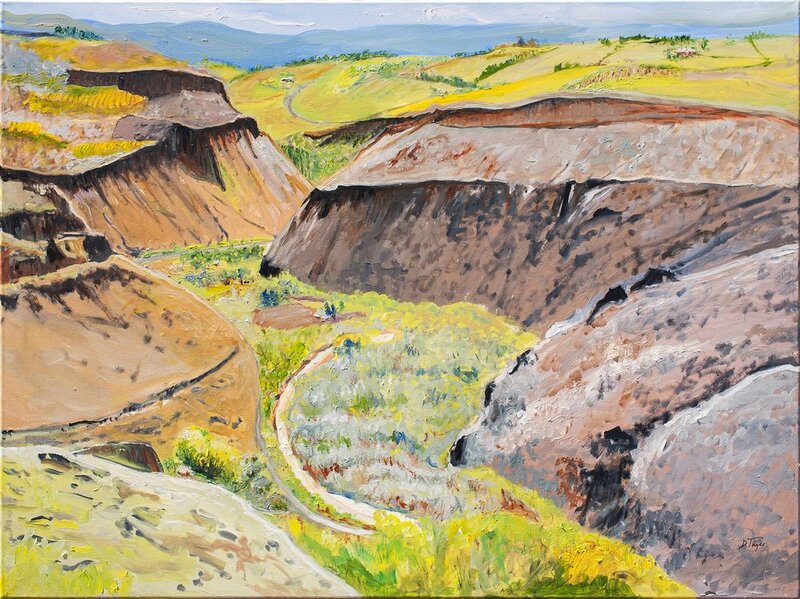 This month's show, “Outside the BOXX”, is inspired by the breathtaking landscape of the Cowiche Canyon. Learn more about BOXX Gallery. After taking in the local art scene, it's time to appreciate the landscape! Take on one of the many Cowiche Canyon trails. We recommend hiking the Cowiche Canyon Winery Trail. What's better than a pit stop at the winery? Cheers!